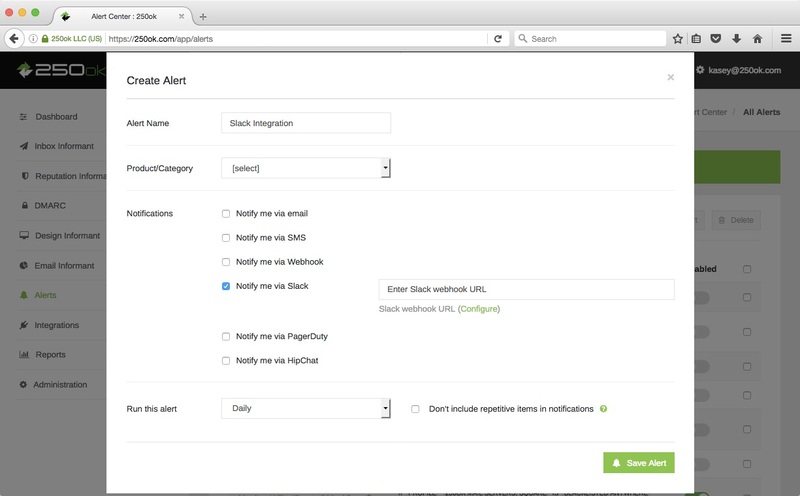 Log into your Slack account by visiting https://slack.com/signin. If you need to find your Slack team visit https://slack.com/signin/find. If you need to create a new Slack team please visit https://slack.com/create#email to create one. 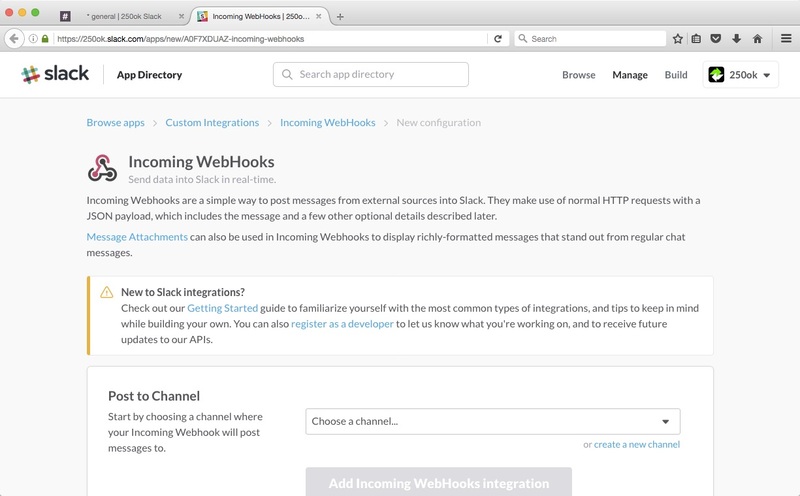 After successfully logging in, open a new browser window and visit https://my.slack.com/services/new/incoming-webhook/. 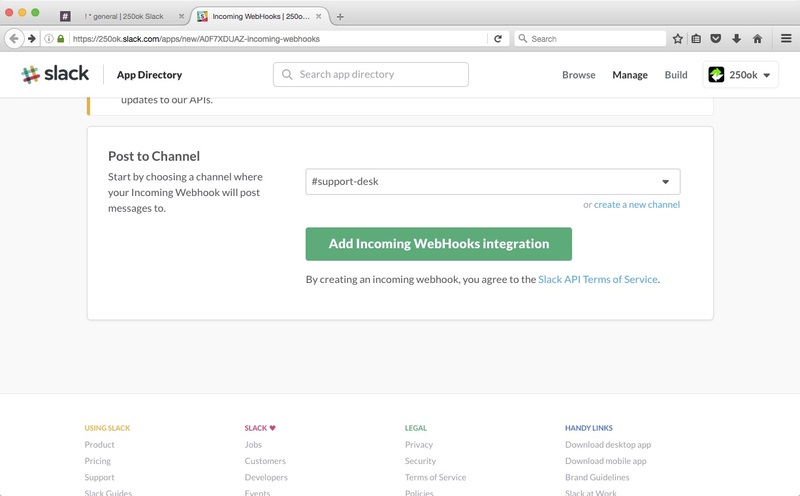 Select the Channel where your Incoming Webhook will post messages to and click the Add Incoming Webhooks Integration button. 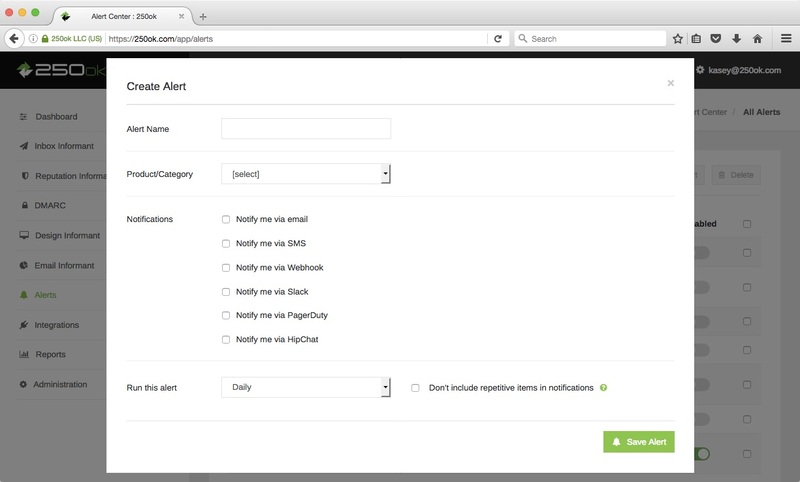 Next, copy the Webhook URL. 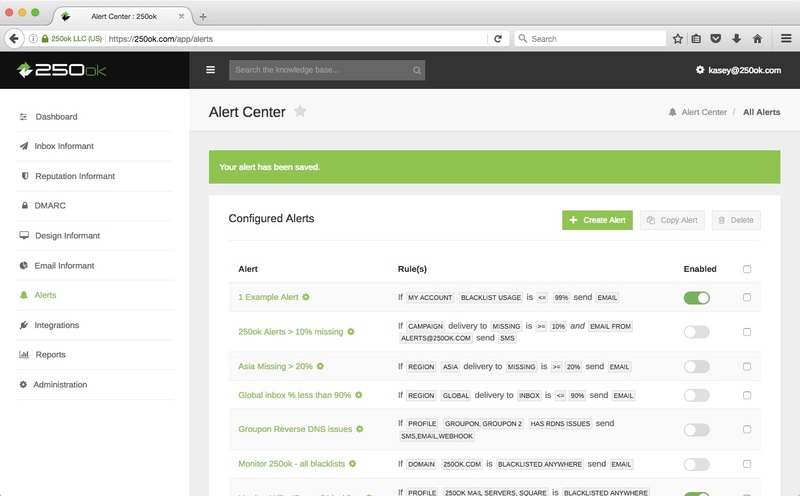 To avoid any confusion, give the alert a name that will make it obvious that these alerts are coming from Slack. 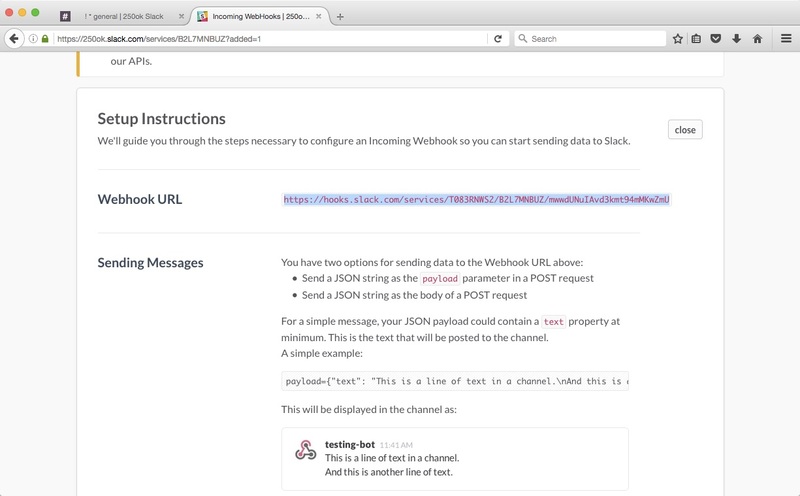 Click the Notify me via Slack checkbox and enter the Slack Webhook URL.